The circle is the most fundamental shape. In geometry every figure originates from circles and their coalescence, that is why in the metaphysical language, the circle represents wholeness and the creator. In numerology, the circle could be considered both zero and number one. Furthermore, the circle also carries a seed of duality, as we need a central point in order to draw it and this point is both a separate and inseparable component of the circle. One could argue that the union is a third element and that the circle, therefore, holds trinity. 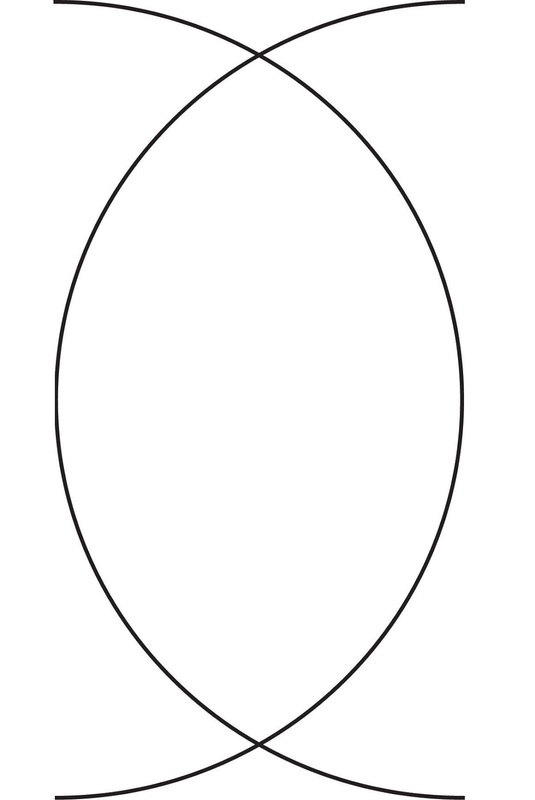 In that case, it may be the central point of the circle that is, symbolically, the true primordial source of creation. Could it be that this simple dot out of which everything or nothing derives holds the greatest mysteries? Or what if it’s just an entrance into another circle? A fractal that creates endless spirals of the same identical shapes? In Theurgy and White Magic, the circle is used for protection by casting a sphere of light around a being or a place you wish to shield from negative energy. It’s also a symbol of utter harmony, which is why the circular or spiral symbols enhance connection with the divine spirit. If a dot is drawn in the middle, it helps you centre yourself and find inner balance. Circles make us remember our origins and our inborn wisdom, as well as recognise and appreciate natural cycles. 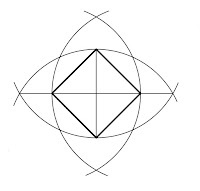 Mandorla (aka Vesica Piscis) is a symbol that results from a coalescence of two circles with the same perimeter. In geometry, it’s used to construct the other geometrical shapes, and that’s why it’s often called “the womb of the universe.” One could consider Mandorla a higher octave of the circle as it too carries the seeds of the ever-struggling dualities, the pluses and minuses, protons and neutrons, the yin and yang, and their endless expansion. Mandorla reminds us of many shapes including human eyes, almond, fish, pineal gland, and etc. It has been used as a power symbol for centuries, particularly in the Celtic or the early Christian cultures. 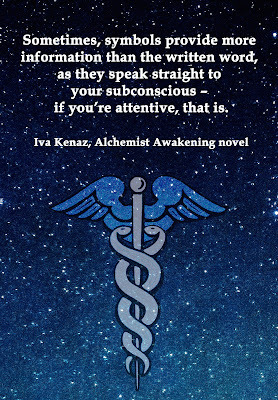 And though its enigma is vast, it is mainly told to be a profoundly healing symbol. You could picture it as a gateway to one’s soul and while it may open up an ocean of challenging themes or blockages, it also helps us release them in order to cleanse our body, mind, and spirit. Mandorla may aid us when we need to harmonise opposing parts of our psyche and personality, particularly the light and shadow aspects. Mandorla also often represents the third eye and spiritual awakening, that’s why it’s a good symbol to work with if you wish to enhance your psychic abilities, especially the inner seeing. In numerology, Mandorla would vibrate number two, but it has a third element as well - the unity between the initially separate yet mirroring dualities. And interestingly, in geometry the shape is the key to an equilateral triangle. 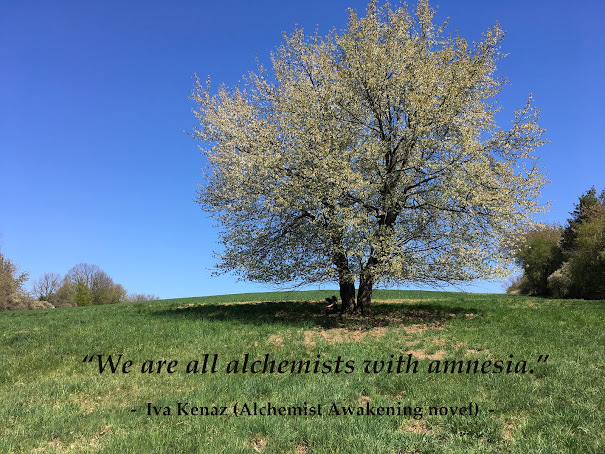 Once I began to look deeper into the connection between numerology and geometrical shapes, I became fascinated with the philosophy behind the simplest math. It’s intriguing how each following number after the initial three repeats the unity, duality and trinity pattern over and over again. Everything stands on the three basic numbers, even the numbers themselves. And this primordial triple principle - the masculine, feminine and the neutral – seems to be the key to every symbol. The triangle could be considered an archetypal shape of our third-dimensional reality, as it’s the first geometric figure that vividly balances the opposites in a harmonised unity. 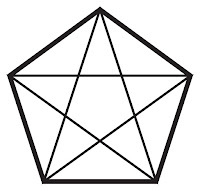 Although the triangle is mainly associated with number three, it holds the aspect of number four as well, because if you connect all the corners and focus on the centre, you’ll see a polygon with four sides called the tetrahedron. It’s fascinating how each preceding number holds an aspect of the following one when you slightly change your point of view, isn’t it? The triangular shapes are mainly used as symbols of the mind, wisdom, creativity, and enlightenment. They help us enhance our connection to the divine intelligence, and may assist us with better visualisation and imagination. Working with them makes our thinking clearer and helps us concretize our goals. 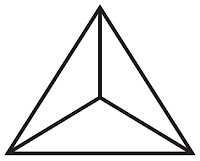 The triangle is also a good symbol to befriend when you need to gain better focus on something. If the basic trinity could be considered the key to the spiritual world, then the quaternity is certainly the key to the material. The square resonates with number four - the double dualities that result in something strong and solid. Therefore, the square has been known as a symbol of grounding and materialisation, and it’s very beneficial to work with it when you need to realise your thoughts and manifest your dreams. What I find most exciting about the square, however, is the possibilities it withholds. 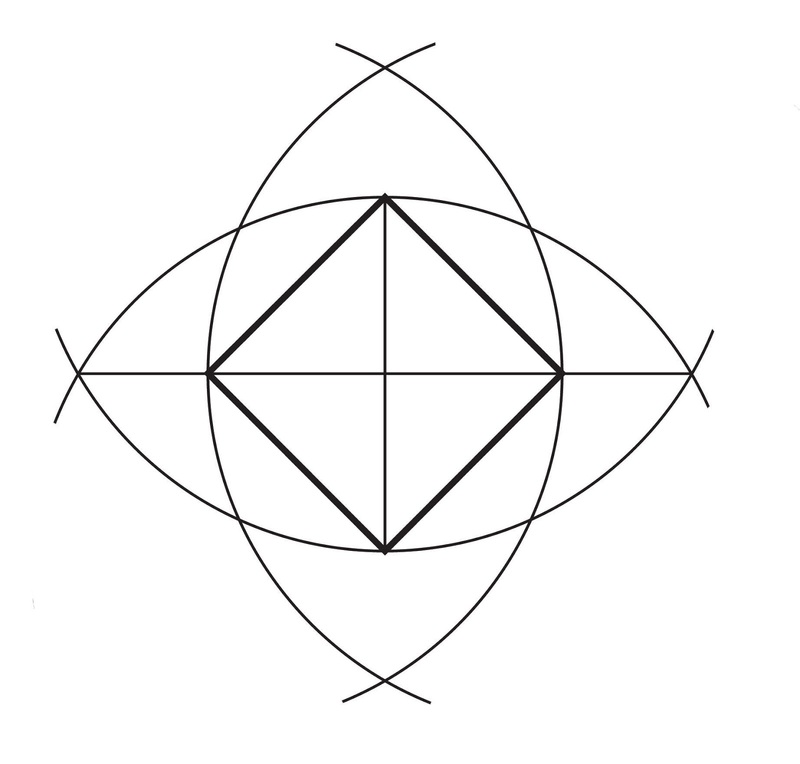 If you connect all the corners, you get a cross, which with its central point resonates with number five. 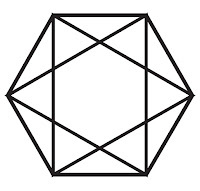 Moreover, if you turn the square into a three-dimensional figure it become the cube, and begins to resonate with number six, therefore also with the hexagon and hexagram. That is why, in my opinion, it’s beneficial to work with all of these above-mentioned symbols and their numerological values when it comes to manifestation. But despite the power they all conceal, they mainly remind us that our wishes and affirmation may be realised only if we make them happen. They help us remain active and courageous, so that we can put our ideas into motion and accomplish our plans in the most effective ways. 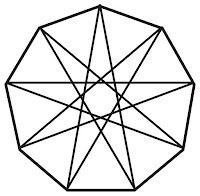 Note: Interesting how most people use the Vesica Piscis, the basis of the Flower of Life, without even thinking about why... Without realising that it's used because all shapes derive from that pattern. These magical shapes are closely linked, particularly when it comes to the human body. Not only are they present in the very core of our DNA, they also simplistically resemble our bodies. 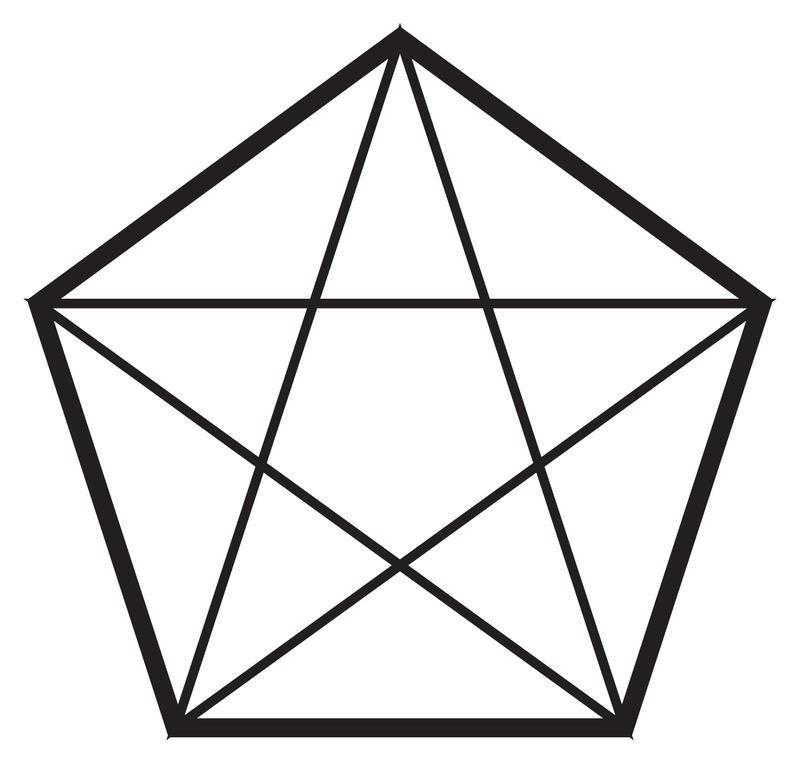 Pentagram represents the physical body and hexagram the light body. As you can see in the famous drawing by Leonardo da Vinci, The Vitruvian Man, the human body with arms and legs spread really resembles a pentagram. 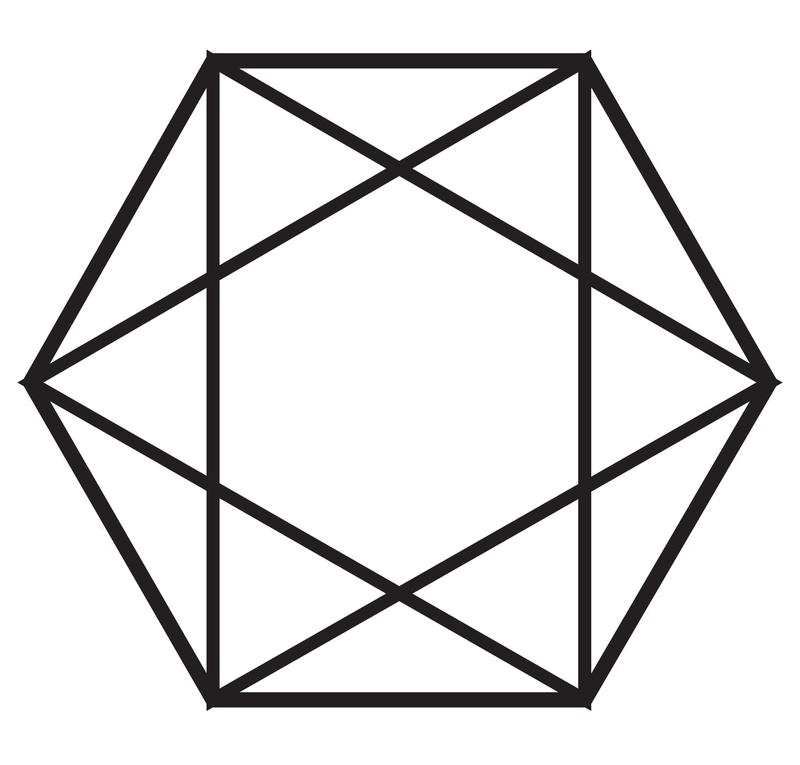 Hexagram, on the other hand, has been associated with the light body. 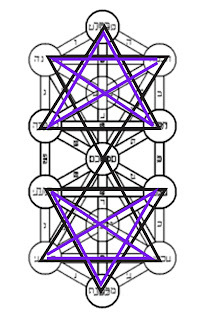 The two merged triangles or in three-dimensional reality, tetrahedrons, resemble the Merkaba, the light vehicle that we need in order to enter or exit this reality. 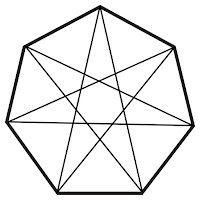 Interestingly, in three-dimensional reality, Merkaba resonates with number eight due to its eight corners and angles, as well as number nine, if we take in account the center. One could, therefore, say that Merkabah contains all numerical values. 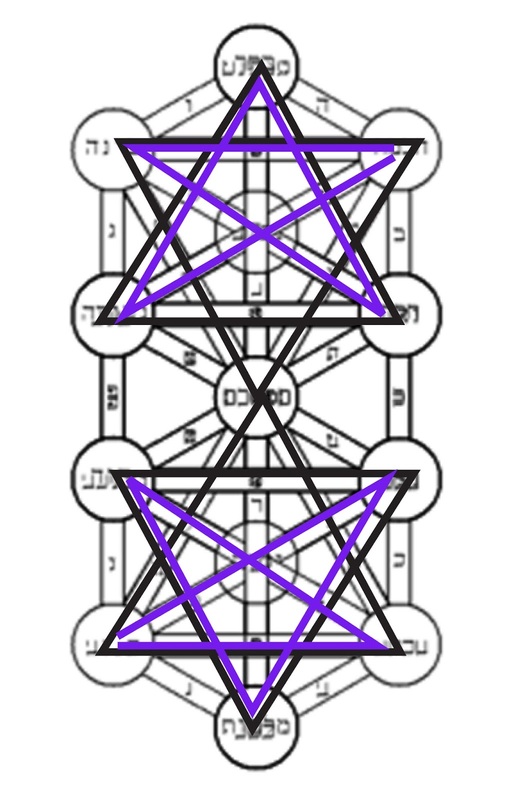 And as you can see in the picture below, from certain angles Merkaba also contains pentagrams. 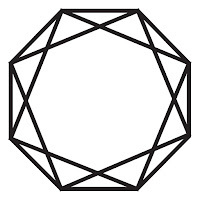 I discovered this by accident and it only deepened my fascination with how linked these two shapes are. 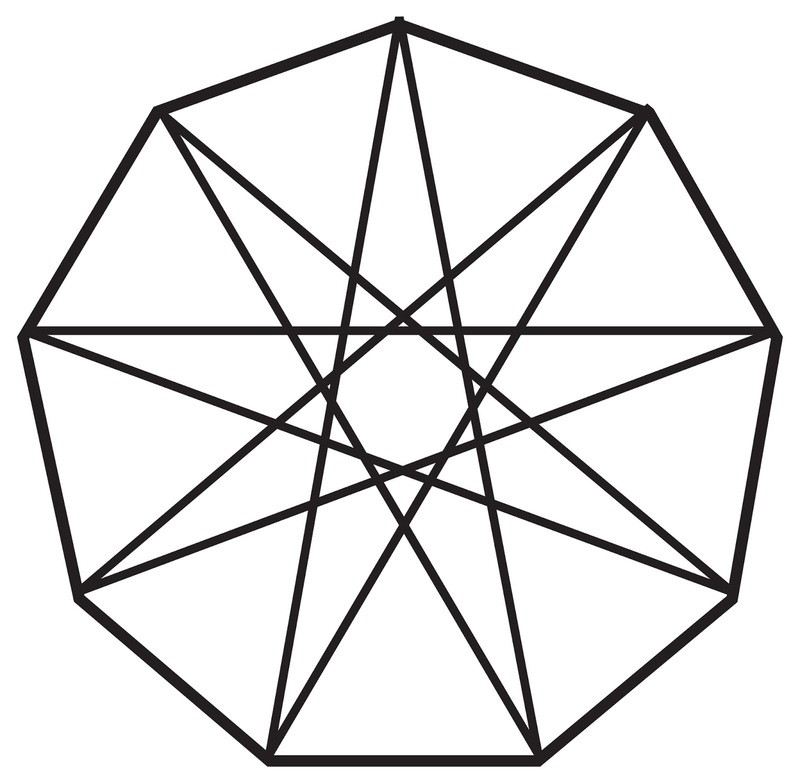 Merkaba in the Flower of Life with Pentagram. From what I’ve learned, hexagon/hexagram and pentagon/pentagram vibrate a powerful protection for both the body and spirit. And on top of that, they also help us unlock and further explore the pattern of creation. If you observe nature from a microcosmic or microscopic point of view, you begin to notice these shapes everywhere. 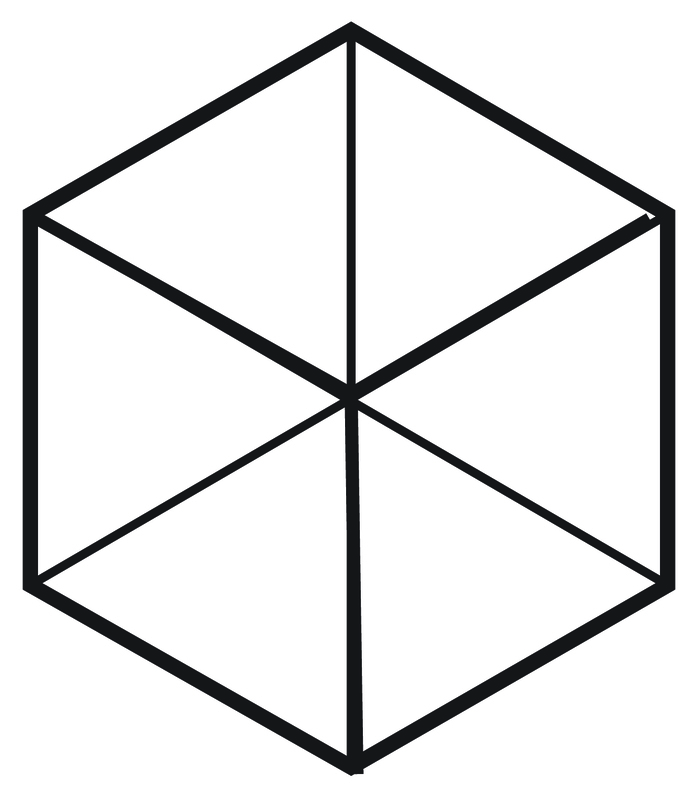 While the hexagon is connected to the cube (if you draw a cube and connect all the corners, you’ll see a hexagon and hexagram inside), the pentagons and pentagrams are associated with creating the sphere. However, a sphere can also be tiled by combining pentagons with hexagons. Interesting note: when I began to study Kabbalah, I’ve noticed that it is not only the hexagram (the six-rayed star) that can be found in the Kabbalistic Tree of Life. I kept looking at it one day and the hermetic sentence As Above So Below came to my mind. The sentence triggered the idea to take the Tree of Life, copy it and reverse it and merge the two shapes into one. And here you can see what happened! Pentagrams and Hexagons in the double/merged Tree of Life symbol. 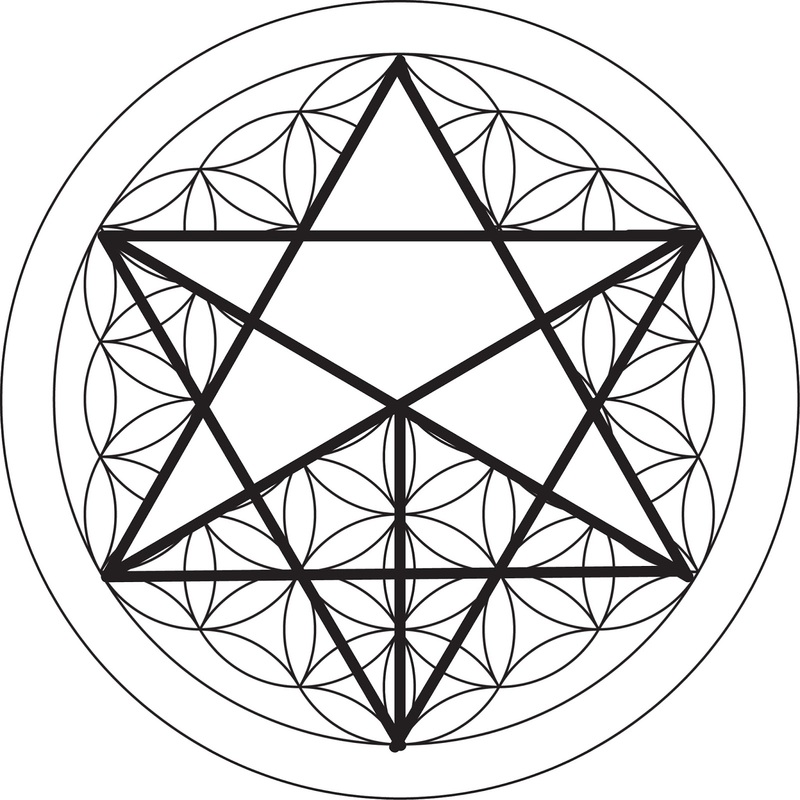 The symbol of the seven-rayed star is mainly associated with faeries, the Pleiadians, and other spiritual entities or beings from other dimensions. The symbol really has an ethereal radiance, and actually even resembles a faery or an angel with spread wings. In numerology, number seven usually represents relationships and cooperation, which even strengthens the meaning of this symbol. Seven - three plus four - could actually be translated as: the connection between the divine trinity and the material quaternity. 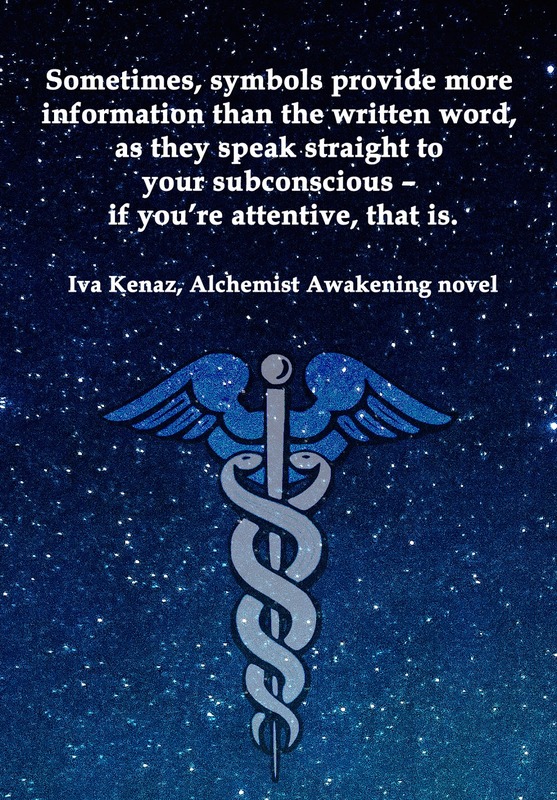 It’s a symbol in which the metaphysical meets the physical, and the mind the material. 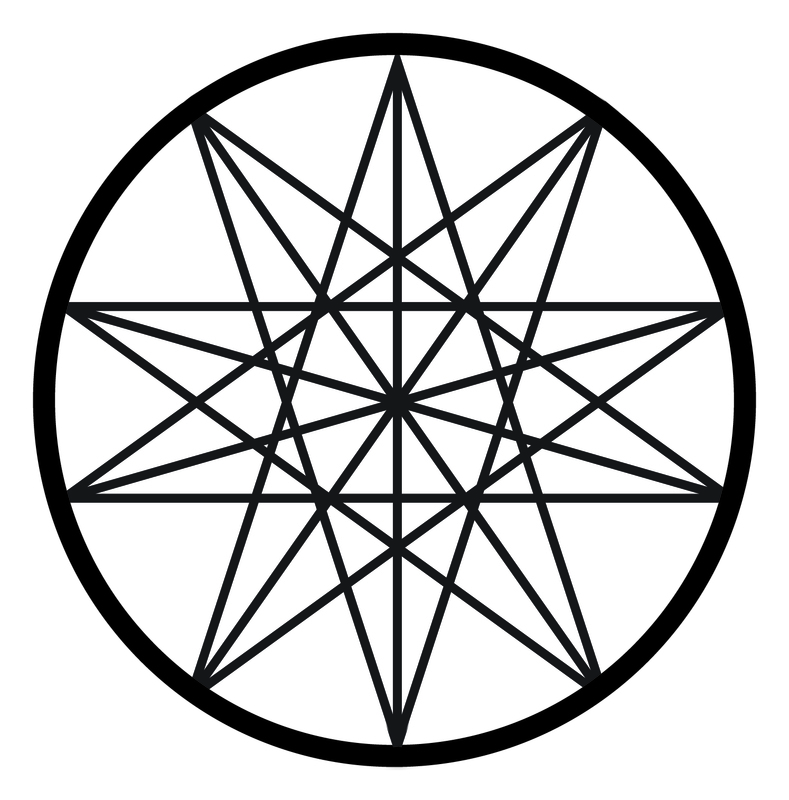 The heptagon and heptagram are powerful tools for contacting spirits. That’s why it’s important to work with it carefully and only call upon the light, positive vibrations, if you want good results. 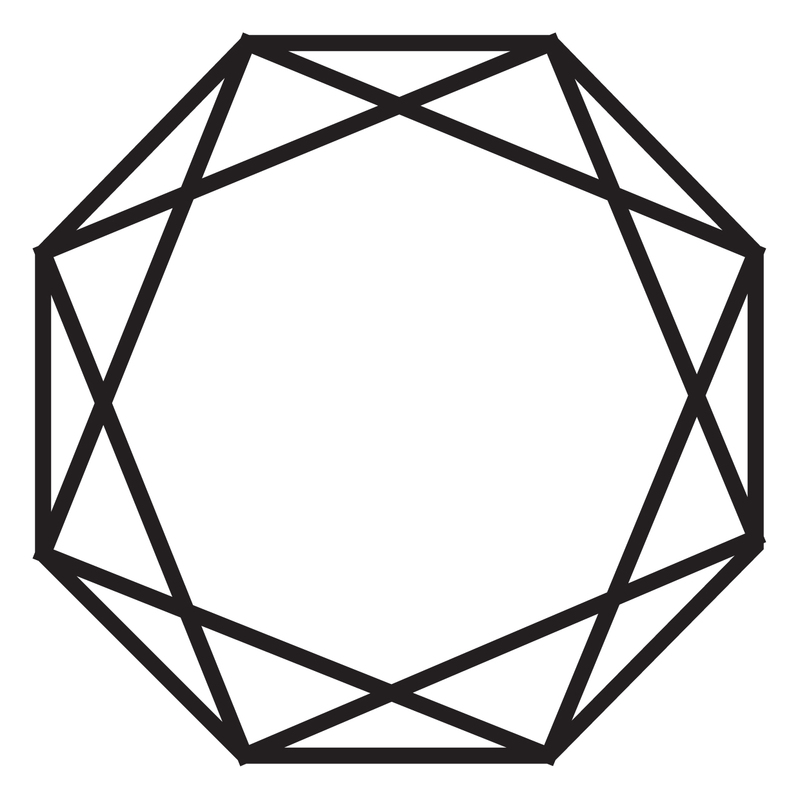 Heptagram (aka Septagram) in Heptagon. 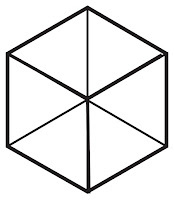 Just like the square/cross symbol protects us from the four worldly directions, the double square and cross symbols protect us even from the directions in between (the south-east, northeast, north-west and south-west). 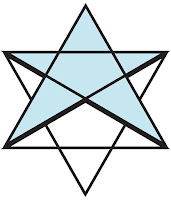 In relation to the Merkaba, the light body that is told to consist of two merged four-sided tetrahedrons, one could say that this symbol protects not only our physical bodies, but also our spirit bodies from all the heavenly corners. This symbol has been widely used in various cultures. For example, in Mesopotamia, the eight-rayed star was called the Star of Ihstar, and was associated with planet Venus. And for the Vikings, the eight-pointed Runic stave called Aegishjalmur was a symbol of utmost divine protection. But besides its protective attributes, this symbol and its numerological value, number eight, were both associated with divine wisdom, order, as well as karma and destiny. That’s why it could be truly considered a compass to the mission we have chosen for our current lifetimes. 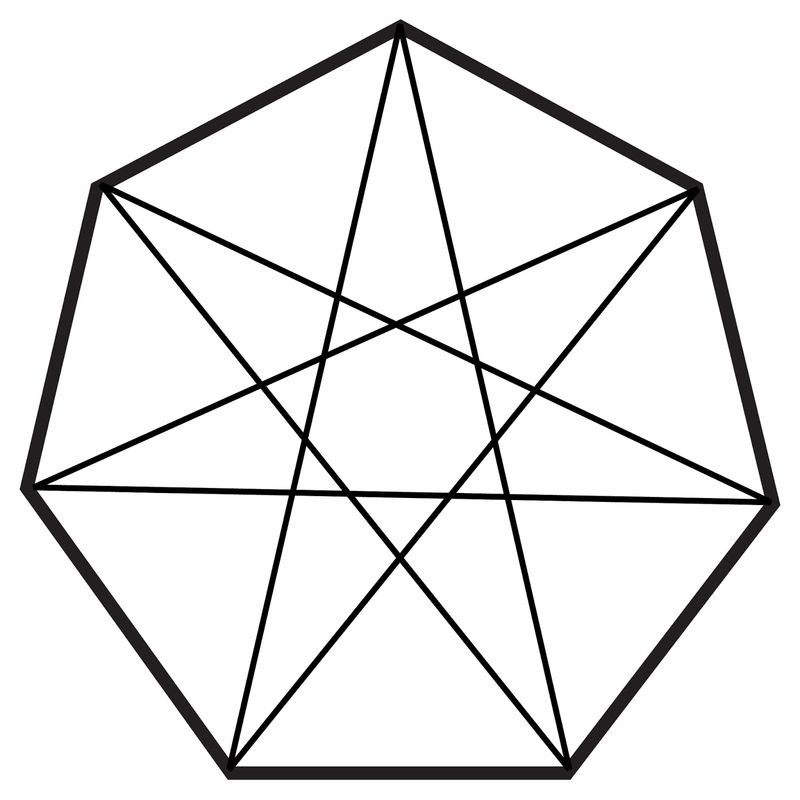 And since eight is double four, the octagon and octagram are also symbols for manifestation and materialisation. It’s interesting that in the western culture, number eight is depicted as two circles while as a symbol it resembles two squares merged in one. And this once again reminds us of the duality principle - the circular meets the rectangular, and together they continue in the endless game of opposites. It’s also intriguing how the odd numbers are related to circular shapes and the even ones to rectangular. Perhaps that’s why the circular symbols are metaphorically connected to the odd, illogical or metaphysical principle while the even to the logical, grounded and reason-based one. The nine-rayed star takes us once again to the three fundamental principles - the primordial trinity upon which all creation is build. 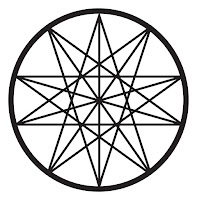 In Sacred Geometry, the enneagram has been associated with music and recently it has also been used to draw out the nine basic personality types, but in my experience, this symbol is mainly connected to spiritual growth. 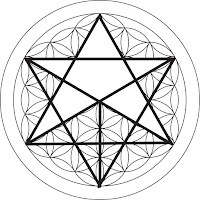 During one of my channelings with my spirit guides, I learned that the nine-rayed star is actually one of the symbols that can guide us to the inner library of the Akashic records. And this made sense to me because in numerology number nine is associated with spiritual wisdom, as well as one’s spiritual path and purpose. The three triangles that this star shape is made of could be considered a triple times higher octave of the primordial trinity. Also, nine is the last of the decimal numeral system, and therefore, it symbolises an ending of a cycle, resolution, and fulfilment. It’s the final step before the new journey (10). Furthermore, the nine-rayed star actually begins to resemble the circle again and even more so does the ten-rayed star, which takes us back to the beginning and reminds us of how something (1) was born out of nothing (0).